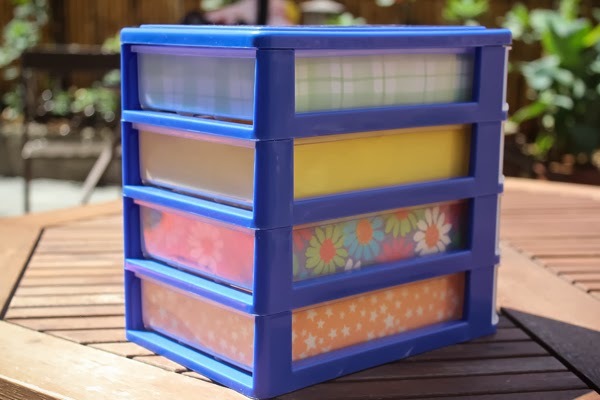 This plastic drawer set has been with me since 2004, it looks might good for its age right? Today, I’m showing you a simple way to spruce things up! This DIY project has either my Mom’s idea or my idea. 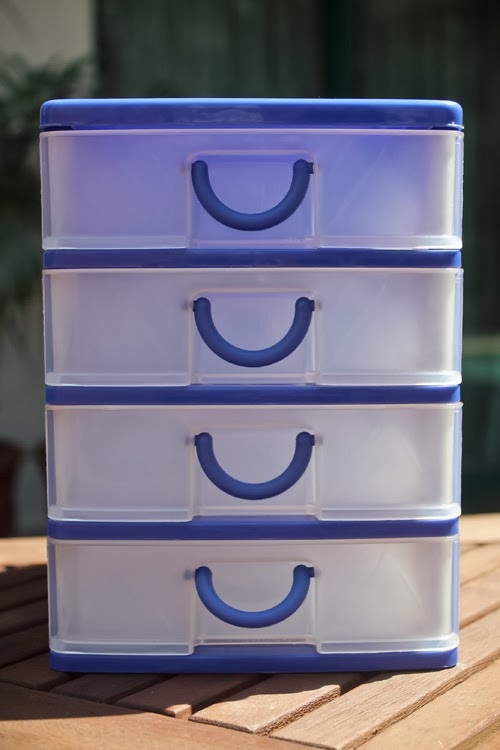 I bought this plastic container for my desk when I had a full time office based job. The container would hold important things like keys and at time money – only a few people knew about its contents. 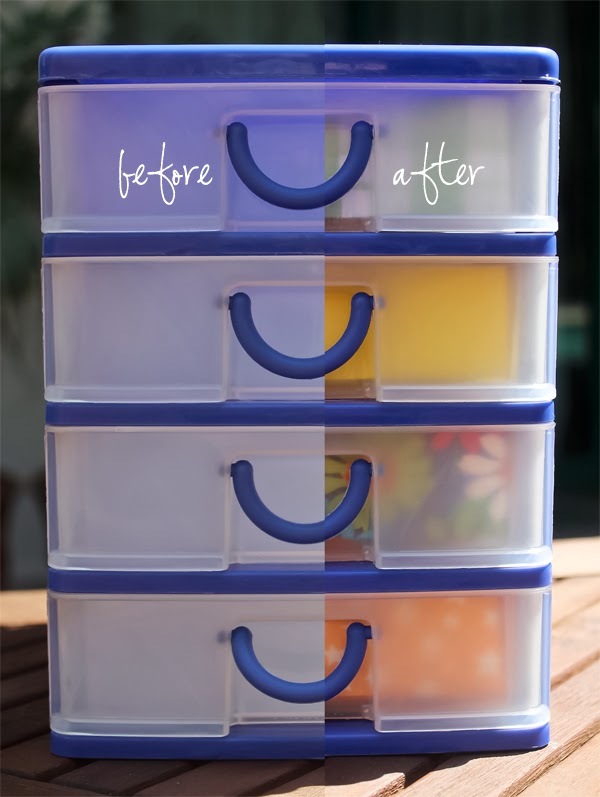 We came up with this execution to prettify my container and hide the contents at the same time. 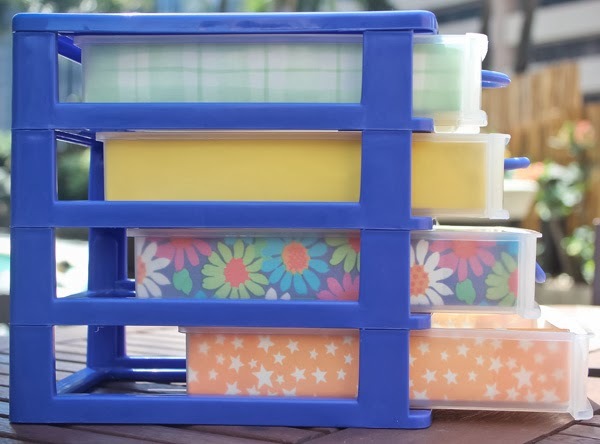 This technique is fairly easy and can be done to other type of plastic containers. 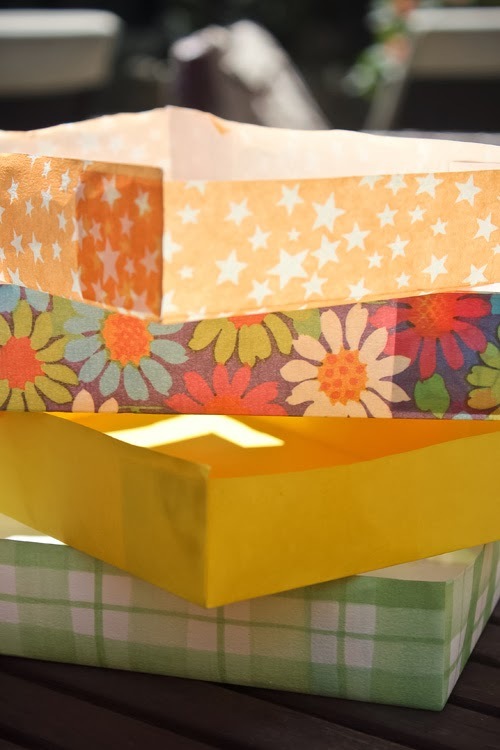 All you need are a handful of colorful wrappers, scissors and tape. Since I am not good with cutting, my Mom was the one who executed the idea. 1. 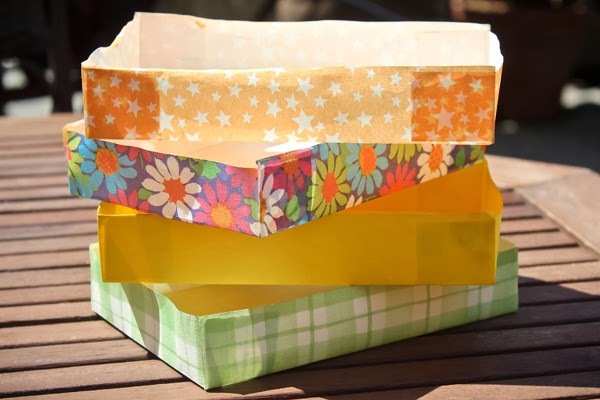 Choose the papers you want to use for the drawers. 2. 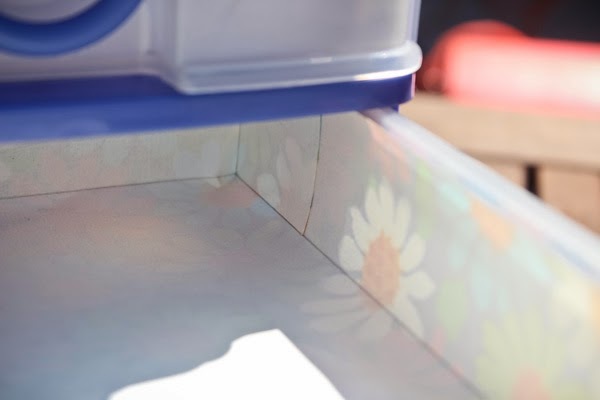 Measure the drawer to know how much paper you need. Tip, on our first attempt we used scratch paper to make sure the proportions were correct. 3. Cut the wrapping paper accordingly. 4. 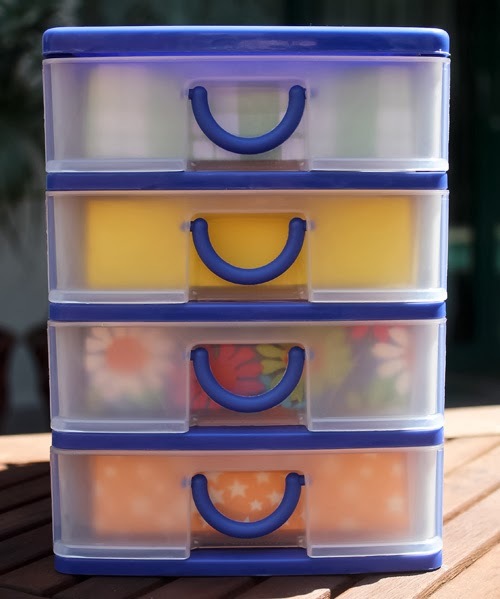 Tape them all together and slip into the drawer. It’s fairly simple and I’m just lucky my Mom had a great selection of wrapping paper on hand. Oh and of course, it was a good thing she was in a crafty mood then! akala ko nung una washi tape :) ang cute ng designs!